PLAIN CITY: Kelly Kuhns rejected Down syndrome testing the first three times she got pregnant; the 36-year-old nurse from Ohio always knew she’d never terminate a pregnancy. But after her third pregnancy ended in miscarriage, she decided with the fourth to take the test. Her hope was to help doctors guide her to a healthy outcome. What she got was a positive result for Down syndrome – and a barrage of disheartening counseling. That’s why Kuhns is fighting for an Ohio bill that would ban abortions in cases where a pregnant woman has had a positive test result or prenatal diagnosis indicating Down syndrome. Physicians convicted of performing an abortion under such circumstances could be charged with a fourth-degree felony, stripped of their medical license and held liable for legal damages. The pregnant woman would face no criminal liability. Several other states have considered similar measures, triggering emotional debate over women’s rights, parental love, and the trust between doctor and patient. The Ohio bill’s chief Senate sponsor, Republican Sen. Frank LaRose, said GOP lawmakers accelerated the measure after hearing a mid-August CBS News report on Iceland’s high rate of abortions in cases involving Down syndrome. The report asserted Iceland had come close to “eradicating” such births. Iceland is one of several European countries where Down syndrome diagnoses lead to abortion at least 90 percent of the time. Others include Denmark and Britain. The rate in the United States is lower – probably between 67 and 85 percent, according to one of the most recent studies, a 2012 analysis in the journal Prenatal Diagnosis. LaRose acknowledged the bill raises difficult questions, and he wants to kindle challenging conversations. Kuhns, who opposes abortion in general, testified for the bill in the Legislature. She got her son’s Down syndrome diagnosis in December 2014, about 14 weeks into her pregnancy, and acknowledges a period of grieving over it. But after delivering and parenting Oliver, she sees abortions based on such a diagnosis as a product of societal perfectionism that targets Down syndrome now, but perhaps other conditions later. Doctors and medical students are fighting the measure. Parvaneh Nouri, a third-year medical student at Wright State University, told lawmakers it will do little to stop abortions but could stop information-sharing between patients and their doctors. “It destroys the trust of our patients, for which we have worked tirelessly over generations of physicians to cultivate,” she said. 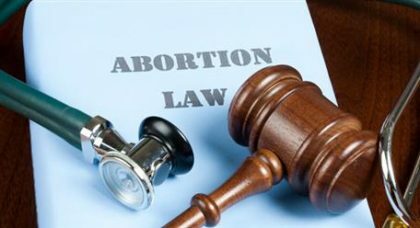 The American Congress of Obstetricians and Gynecologists has expressed concern about various measures seeking to ban abortions based on a woman’s motive for having one. “These ‘reason bans’ represent gross interference in the patient-physician relationship, creating a system in which patients and physicians are forced to withhold information or outright lie in order to ensure access to care,” said Dr. Mark DeFrancesco while serving as president of the congress last year. According to the National Down Syndrome Society, about one in every 700 babies in the United States – or about 6,000 a year – is born with the condition, which results from a chromosomal irregularity. People with Down syndrome have an increased risk for certain medical conditions such as congenital heart defects, respiratory and hearing problems, childhood leukemia and thyroid conditions. However, their life expectancy has increased markedly, from 25 to 60 over the past 35 years. Issues raised by bills in Ohio and elsewhere are so thorny that the Down Syndrome Society hasn’t taken a formal position on them. Instead, the organization advocates on behalf of people with Down syndrome, seeking to empower them with greater opportunities. Two states, Indiana and North Dakota, already have passed laws like the one pending in Ohio. The Indiana measure, enacted in 2016, has been blocked by a federal judge, who ruled the state has no authority to limit a woman’s reasons for ending a pregnancy. An appeal by state officials is pending. The 2013 North Dakota law has not been challenged. The state’s sole abortion clinic, in Fargo, says the issue hasn’t arisen under its policy of not performing abortions after 16 weeks into a pregnancy. In Oklahoma, a bill that would have prohibited abortions based on any genetic abnormality, including Down syndrome, cleared the House of Representatives on a 67-17 vote in March but never reached the Senate floor. Opponents said the bill was unconstitutional and would cost the state in legal challenges.